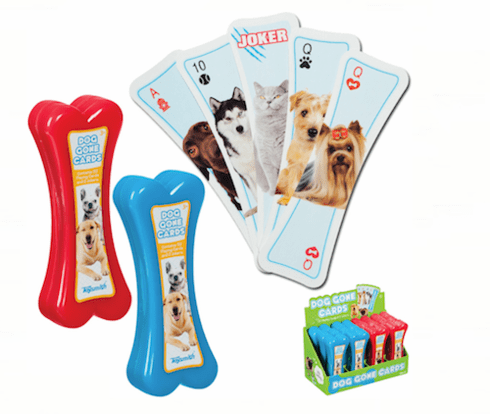 Make the most of those dog days with these fun bone shaped playing cards. Each deck contains the standard 52 cards, each featuring a different lovable pooch, plus 2 crazy cat Joker cards. Decks come packed in a reusable bone-shaped storage case. Cards measure 5.5 x 1.5 inches. Two assorted case colors. Price is per deck.